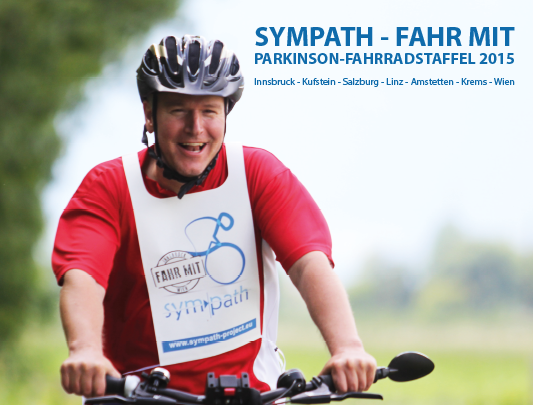 The SYMPATH project, with its four Austrian partners AFFiRiS, biolution, Innsbruck Medical University and Prosenex, organised the bicycle tour in close cooperation with the Austrian patient organisation for Parkinson’s disease. We jointly developed the concept of a tour linking the clinical centres in Innsbruck and Vienna. Working together with local chapters of the patient organisations, local committees were established to prepare events to welcome the cyclists in Innsbruck, Kufstein, Salzburg, Linz, Amstetten, Krems and Vienna. An integral part of this tour was to bring politicians, civil servants, neurologists, patients and their representatives together for informal information exchange. 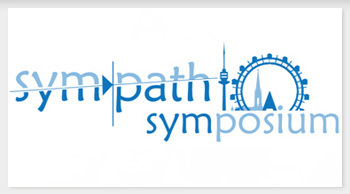 This ambitious concept succeeded thanks to an informative travelling exhibition incorporating interactive elements, designed to simulate the symptoms of Parkinson’s disease. The many pictures, positive feedback and numerous press reports bear witness to the success of these events.